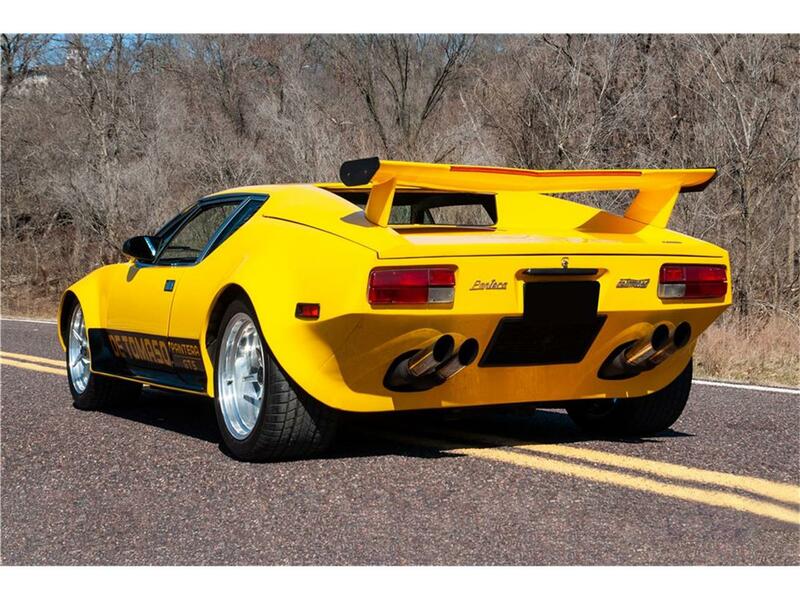 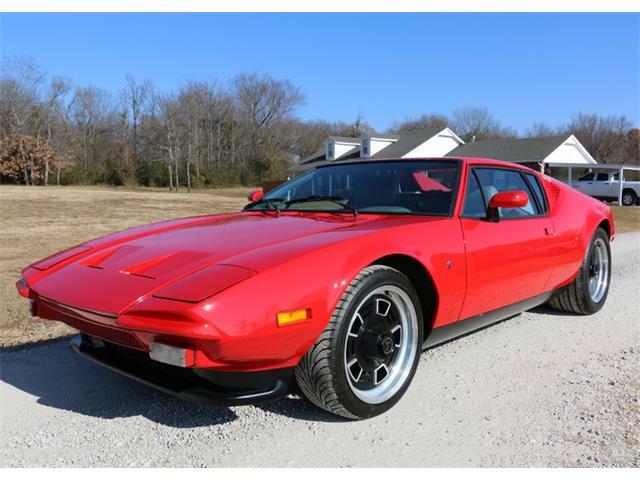 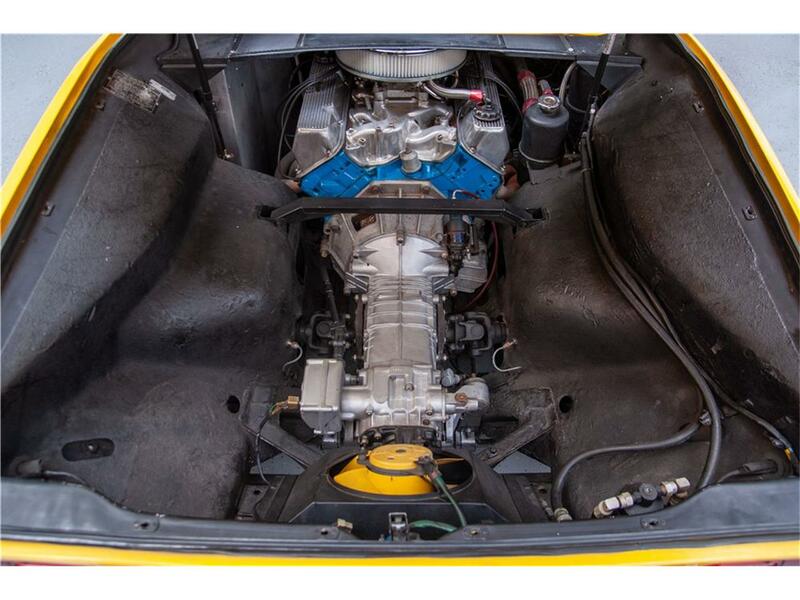 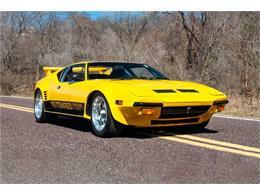 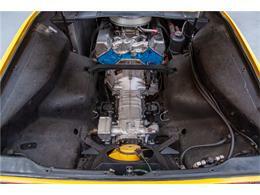 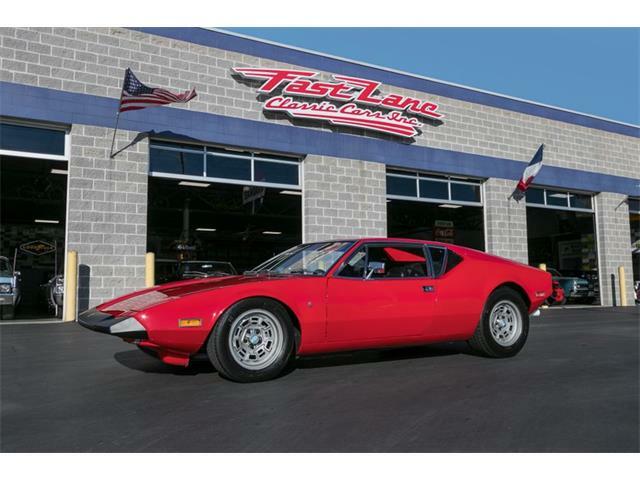 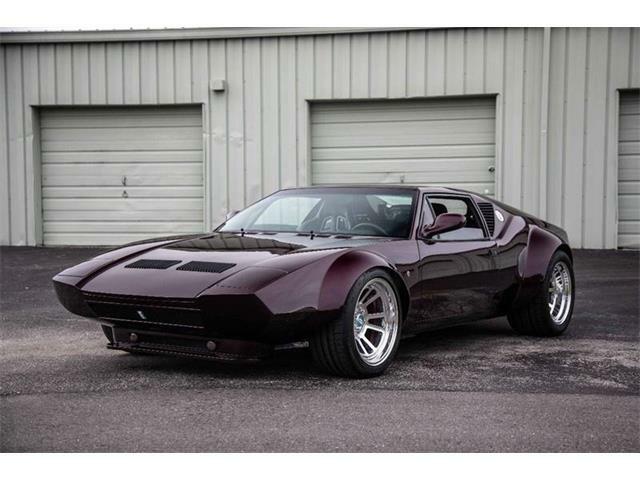 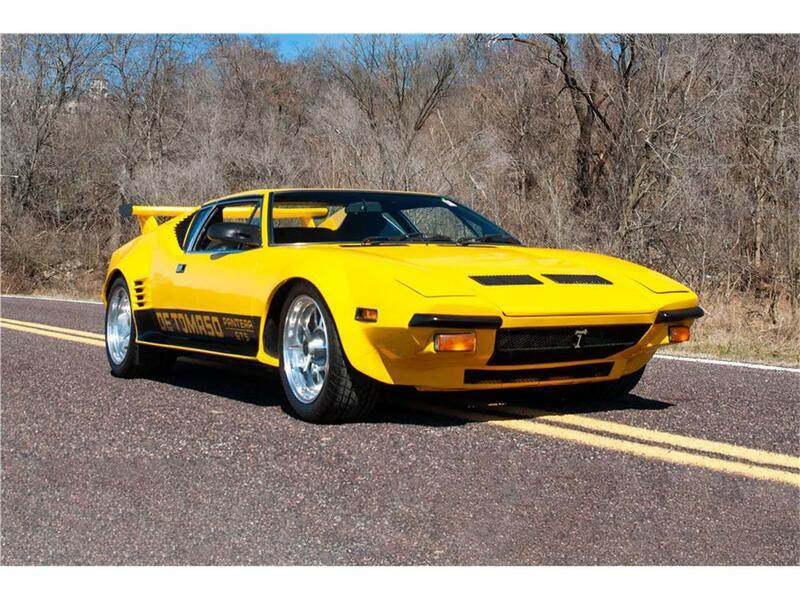 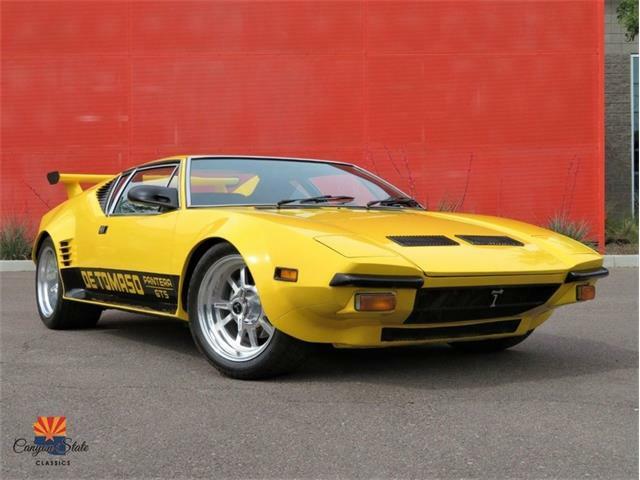 1973 DE TOMASO PANTERA STEEL BODY PANTERA AMAZING SUPER CAR GT5 OPTION TRIM 5 SPEED MANUAL TRANSMISSION GROUND POUNDING HIGH PERFORMANCE 351 CID V8 DE TOMASO ULTRA PANTERA WHEELS This steel-bodied California Pantera wears aftermarket GT5 trim and is finished in yellow. 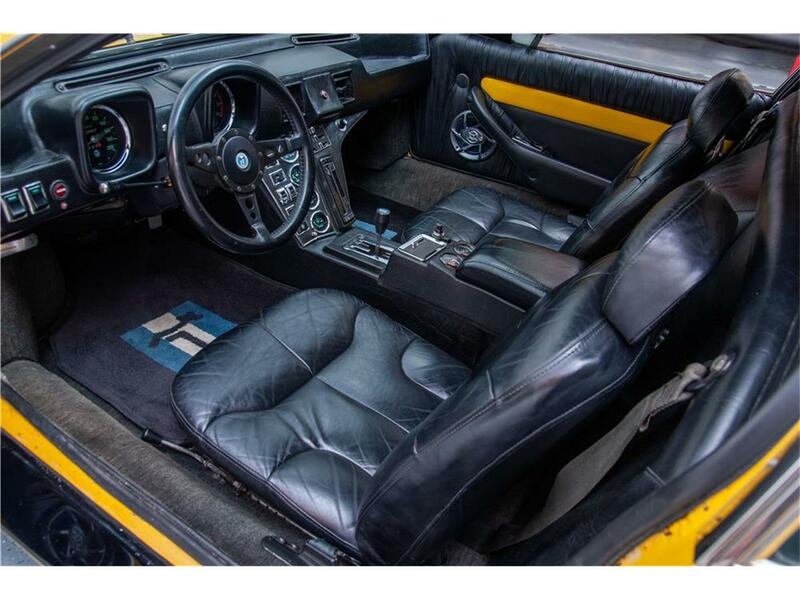 The black leather interior features yellow accents and an aftermarket Clarion 6-disc CD player. 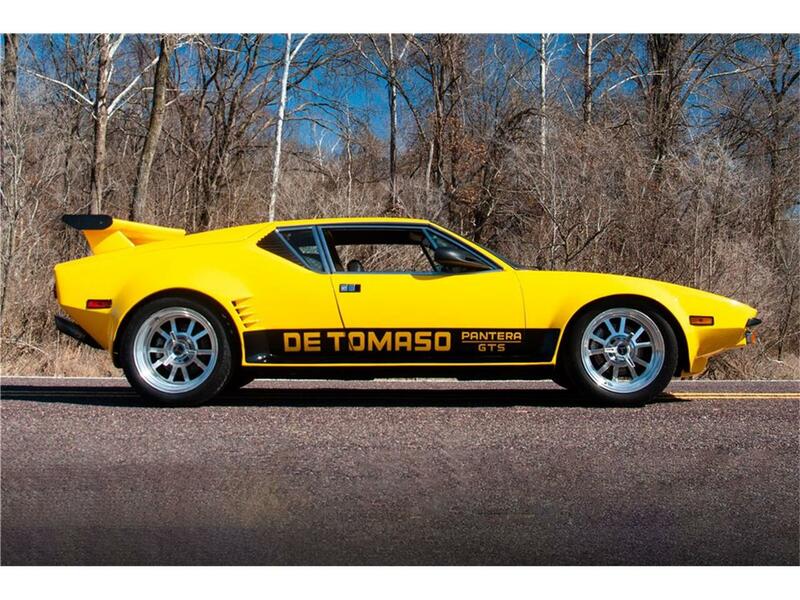 The De Tomaso Ultra wheels are wrapped in massive tires. 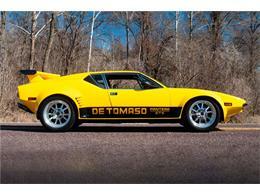 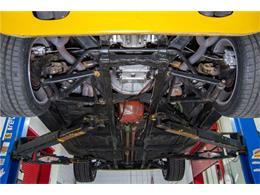 It is powered by a 351ci 8-cylinder engine mated to a 5-speed manual transmission.